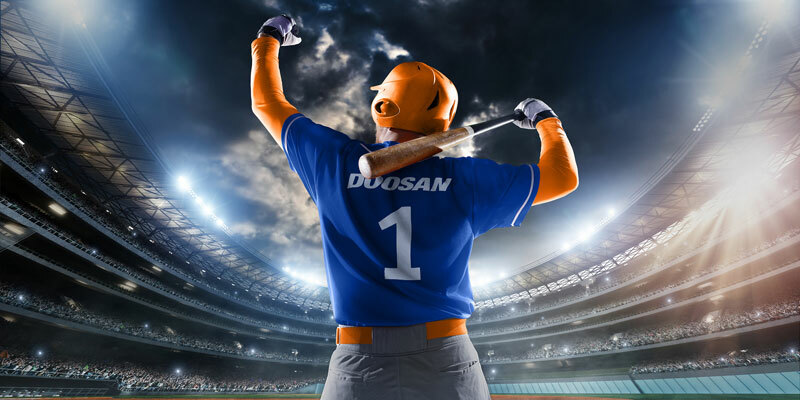 A robust design and the heavy-duty build quality ensure that Doosan’s 7 series is tough enough for any application. LED lighting provides greater visibility in dark conditions and lasts much longer than conventional light bulbs. The New Zeus Cabin provides the operator not only great comfort, but also higher productivity with it’s ergonomically design features. 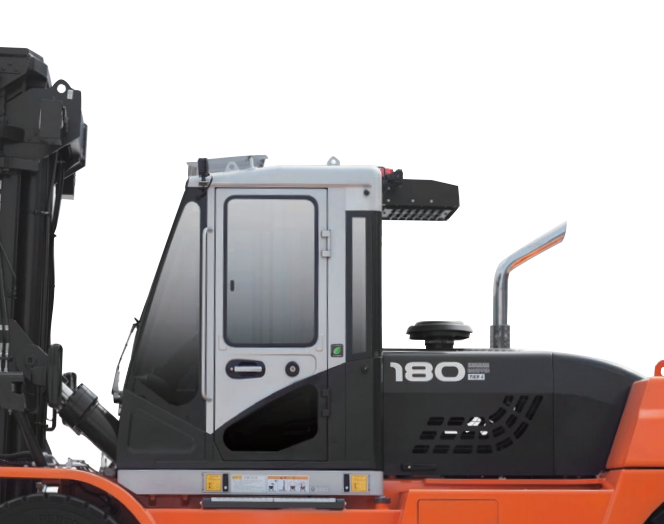 The quality of Cabin is guaranteed to be the best of Doosan. 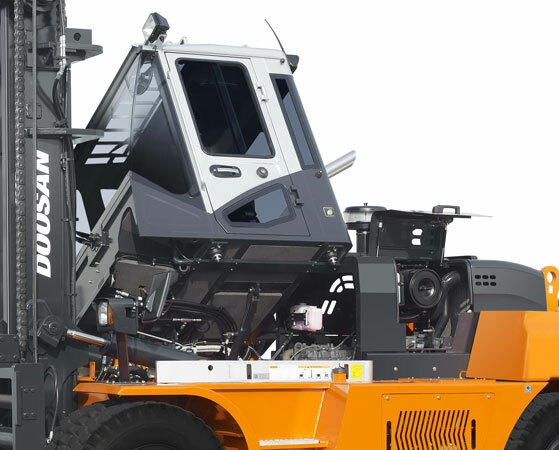 The power tilt cab and the wide rear hood opening allow easy access to key drivetrain components. The remote access grease port makes it easy to perform maintenance on the steeraxle. 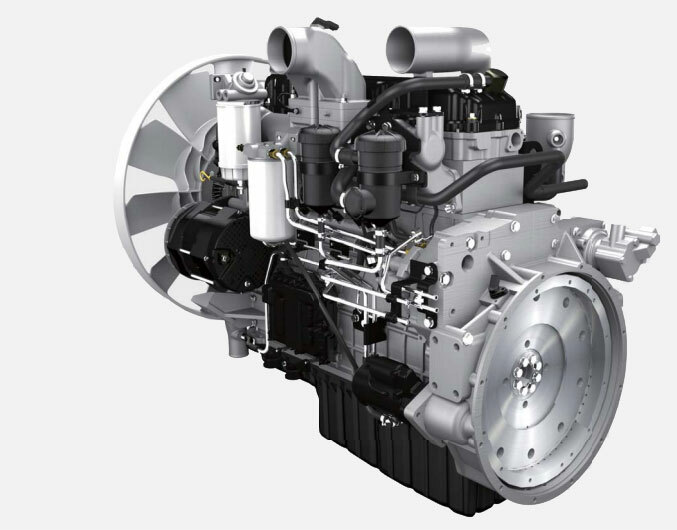 Doosan 7.6 liter Diesel Engine offers high power output and maximum torque, maintaining its best performance in the most challenging conditions for all kinds of applications. The enclosed brake system eliminates outside contamination, significantly extends brake life, and decreases maintenance costs. The ODB service interval is five times longer than conventional shoe brakes. An I-beam steeraxle adds greater strength to turns and the tapered roller bearings increase rigidity, durability and stability of the machine. 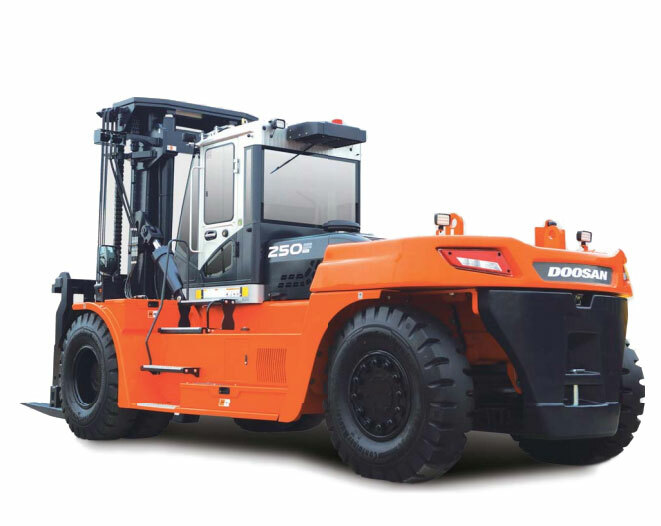 A robust design and the heavy-duty build quality ensure that Doosan’s 7-series is tough enough for any application.